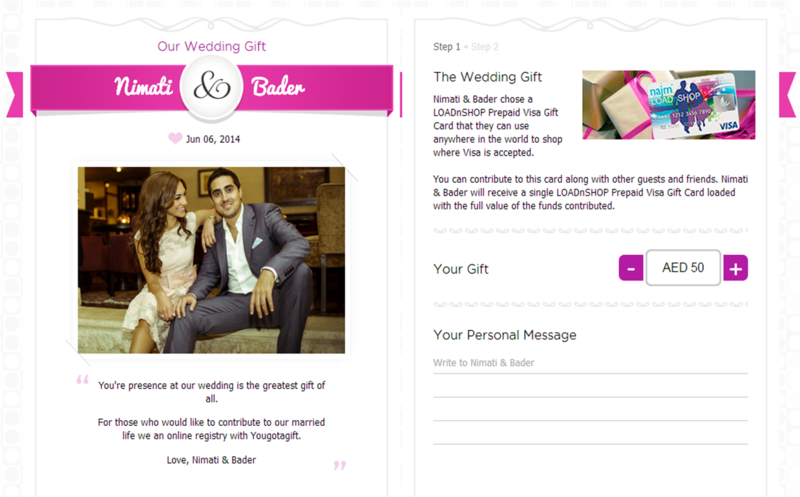 Sarah Nazim, shares with us the launch of one of its kind eGift Card shopping service, You Got a Gift. Plus there's a special discount exclusively for KBB readers. Promo code below. Do share with family and Friends. Enjoy! Have you ever been tight on time to shop for a gift or don’t know what to get someone with a picky taste? I found the perfect solution! There’s this cool gifting site that offers digital prepaid eGift Cards that are delivered instantly by email, SMS or Facebook. 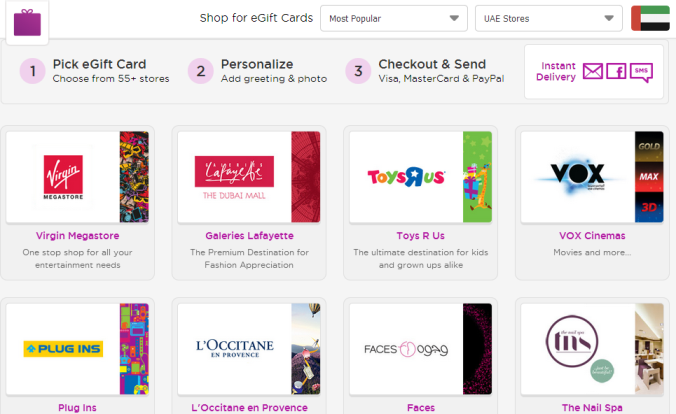 All you have to do is visit www.YouGotaGift.com, browse through 55+ popular stores, select your card and then send away! The service is currently available in the UAE, Lebanon and Qatar. 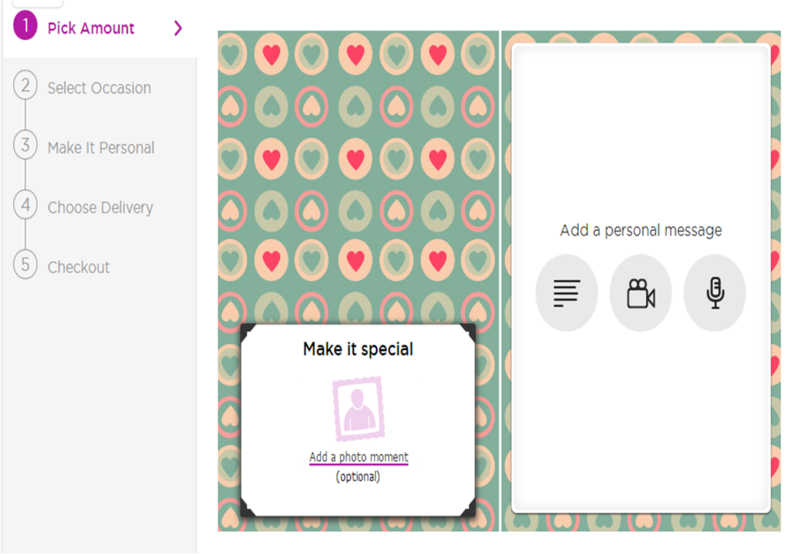 The nice thing about these eGift Cards is that they can be personalized with a photo and message! In fact, you can send your greetings with a video or audio message – pretty neat! While browsing their site I also noticed they have a Money Wedding Registry, which is a great concept for those who are tying the knot. Instead of having friends and family gift you random dishware and mismatched items, they can send you money instead, so you can purchase what you need the most! The way it works is that the bride and groom set-up a wedding page and are then provided with a url that they share with their loved ones to contribute. Want to send an eGift Card? The folks at You Got a Gift have offered KBB readers AED 30 off your first purchase! Simply use promo code KIRANBEAUTY, valid until August 4, 2014.